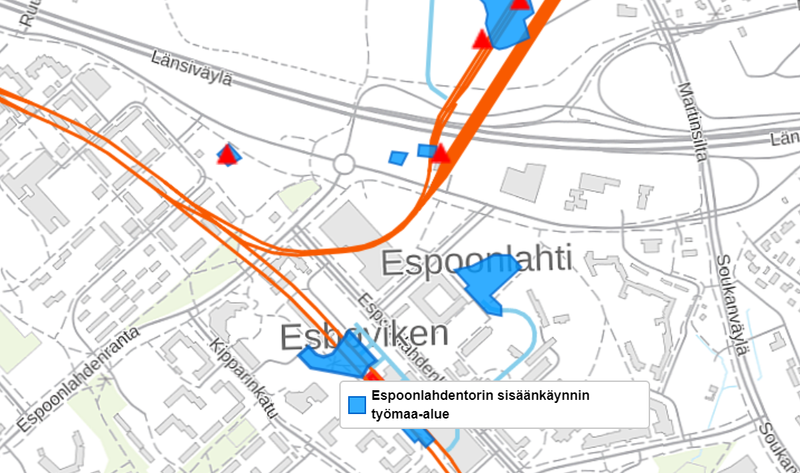 Concrete casting at the Espoonlahdentori entrance of the Espoonlahti metro station will start during the week of 10 March. This work phase marks the beginning of the construction of walls for the west entrance. The work is scheduled to begin on Monday, 11 March, at 5.00 am and will be completed on Tuesday, 12 March, between 3.00 am and 6.00 am. Two similar concrete casting work phases will be carried out later in March. The casting work is a long process, and unfortunately late-night work cannot be avoided; due to the height and size of the structure, the pouring of concrete must be completed in one go. The driving of concrete trucks and pumping of concrete may cause noise. We apologise for any inconvenience this work may cause.